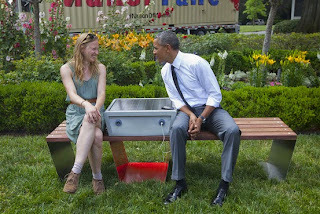 Soofa.co ~ Solar-Powered Benches in Boston! “Jugaad” is a word that often describes a solution or a product that uses unconventional and generally low-cost methods. Jaideep Prabhu and his co-authors took an idiomatic Hindi term, Jugaad, and used it to explain a growing phenomenon in emerging economies [...] Jugaad Innovation isn’t a concept that is only limited to Asian and African counties; is also spreading in the West particularly through young entrepreneurs. [...] Jugaad Innovation is interesting to study because it provides powerful solutions for unmet needs in education, healthcare etc." A Town Like Alice ~ Epic Venture-Romance! Nevil Shute's A Town Like Alice made into movie... And later mini-series! Get On Up ~ The Epic James Brown Story! With private markets capturing more value in the future and continued disruption of every industry -- can LPs afford NOT to be long in Venture Capital?" MapPorn spots Vanshnookenraggen's lovely timelapse anime of Boston's MBTA's expansion rendered in modern map format! "Financial investors are also starting to raise money to enter the giant market at the earliest stage possible. Analysts say there is a potential market for cannabis that could reach $110 billion (€81 billion), four times the revenues generated each year by the cigarette industry. 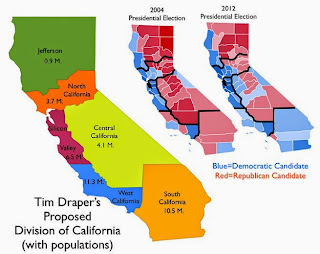 Comparisons are being made to the Dot.Com era, to the 19th century gold rush and even to the end of prohibition in the 1930s, which saw massive growth in the alcohol industry. And everyone is trying to get into the game -- idealists as well as tough-as-nails business realists, charlatans, geniuses and nut jobs." "In New York, the BBC's Samira Hussain caught up with 12-year-old Nia Johnson at the "Black Girls Code" Hackathon to find out why she loves learning about computer programming." 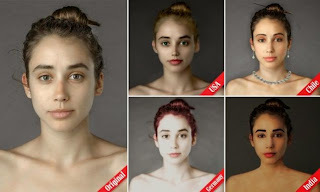 "A 24-year-old journalist based in Kansas City, Missouri sent an image of herself to 40 people in 25 countries with the request 'Make me look beautiful. The resulting images were altered by professional photo re-touchers in Sri Lanka, Morocco, the Philippines and elsewhere, illustrating the drastically different aesthetic preferences of various cultures." 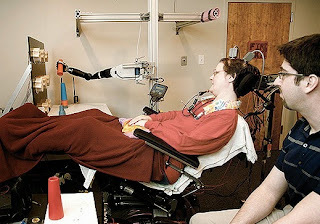 Origami Robowheel ~ Deformable Fabric Bot! "A clever robotic wheel based on one of the most famous origami patterns, the magic ball pattern. The wheel they created can change its radius by deforming its shape. This is a useful trick to be able to perform, since a wheel with a large radius is better at climbing over things, while a wheel with a smaller radius is better at squeezing under things." io9 spots Vincent Brady's Planetary Panoramas! Our MIT Imaging & Fabrication Ventures class alumco Mission Street Manufacturing led by Brian Jaffe and team are now Kickstarting their Printeer! "Unlike other 3D printers, using Printeer doesn't require advanced technical or engineering skills. 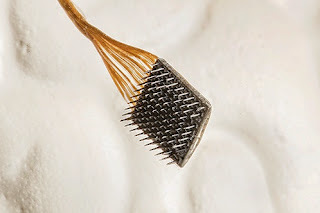 For starters, you don't need to learn CAD (computer aided design) software, a professional-grade tool that is required to generate the 3D designs used by other 3D printers. Printeer design software is different in the following ways: (1) It runs on iPad, a platform most kids are more comfortable with than a PC. (2) It can be learned in about 30 seconds. (3) It doesn't require any intermediate steps between design and 3D printing. No PC, no complex software, no fancy configuration settings. Just touch the "print" button and watch it go." "AirDog follows a signal from the programmable tracker -- AirLeash. The AirLeash is a small waterproof computerized tracker [on your wrist or body] with clever software and sensors inside. It sends signals to the AirDog, indicating exact movement trajectory. The drone performs inflight calculations to correct its flying pattern, and points the camera at the user wearing AirLeash. Takeoff and landing is completely autonomous, freeing you to focus on your performance." 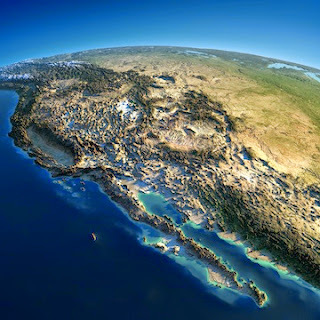 MapPorn spots very cool Exaggerated Relief Map of Western US and Mexico made by Anton Balazh (with NASA help;-) sourced from UnofficialNetworks! V838 Mono ~ Timelapse Hubble Stellar Echo! Weather.com spots V838 Monocerotis timelapse steller light echo! "How to transform her family’s farm in Devon into a low energy farm for the future, and discovers that nature holds the key. With her father close to retirement, Rebecca returns to her family’s wildlife-friendly farm in Devon, to become the next generation to farm the land. But last year’s high fuel prices were a wake-up call for Rebecca. Realising that all food production in the UK is completely dependent on abundant cheap fossil fuel, particularly oil, she sets out to discover just how secure this oil supply is. Alarmed by the answers, she explores ways of farming without using fossil fuel. With the help of pioneering farmers and growers, Rebecca learns that it is actually nature that holds the key to farming in a low-energy future." Levitation ~ General Purpose Mag-Lift Display! Tentacles ~ Collecting Cephalopods for Exhibit! TheKid spots Dr Stephanie Bush at MBARI collecting cephalopods! MIT Media Lab alumco DuKorp launches their MindRider mood-tracking bike helmet on Kickstarter! "MindRider is a new helmet system that shows your levels of engagement (from relaxed to focused), as you move through your environment, in real-time. The MindRider app maps and tracks these levels, and allows you to share your "mind-maps" with others. These maps provide quantified insight that empower you to maximize your riding experience, and they can be a great resource for riding communities and street advocacy." Sad to read that visionary engineer Peter Glaser has passed away at age 90. Glaser worked for nearly a half-century at ADL, the pioneering technology & management consultancy, but his big passion was satellite-mounted solar panels which would beam power down to ground. Jack Nicas in the WSJ spots the PowerUp 3.0, a smartphone-controlled paper airplane just successfully Kickstarted! "Aerial drones have fought in wars, filmed movies and factored into the ambitious plans of high-tech executives who want to supply Internet service from the air. Now there is a new but familiar shape to the fast-growing world of unmanned aircraft: the paper airplane. The PowerUp 3.0, brainchild of former Israeli Air Force pilot Shai Goitein, is a lightweight guidance-and-propulsion system powered by a dime-size battery. It clips onto origami aircraft and connects to iPhones using Bluetooth, transforming them into remote-control drones." 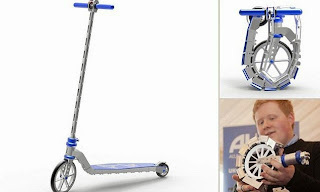 Roll-Up Scooter ~ George Mabey's A4 Design! The DM's Sarah Griffiths spots George Mabey's roll-up scooter! "Fold-up scooters are a popular way to get around town quickly, but they're often bulky and awkward to carry. Now there’s a new design of scooter that's so tiny, it folds up to the size of an A4 piece of paper. A university student created the award-winning scooter by linking pieces of aluminium with a cable, which when tightened, pull them together to support an adult’s weight." KIBO ~ KinderLabs Kids Robo Kits Kickstarting! FYI, KIBO from KinderLabs are programming robots for kids! "[KIBO kits are] specifically designed for young children aged 4-7 years old. It is different from any other kit out there because it appeals to both technically minded kids and those that connect more to arts and culture or physical activity. Young children learn by doing. Children build their own robot with KIBO, program it to do what they want, and decorate it. KIBO gives children the chance to make their ideas physical and tangible -- exactly what their young minds and bodies need. And KIBO does all this without requiring screen time from PCs, tablets or smartphones." Filmmaker IQ ~ Cinema History & Techniques! Above Central Park ~ Iconic Manhattan Acres! 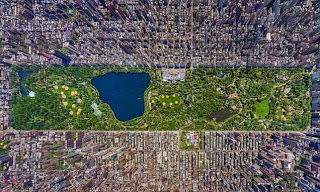 DM spotlights aerial photos, including Sergey Semenov's shot of Central Park! 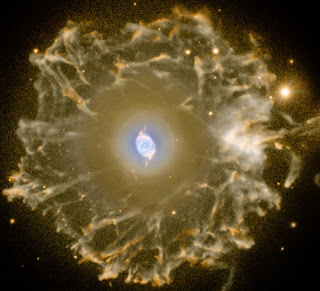 Cat's Eye Halo ~ NASA Spots Planetary Nebula! Nice little VICE docu on the Giants of Iceland! "The blowout preventer (BOP) that was intended to shut off the flow of high-pressure oil and gas from the Macondo well in the Gulf of Mexico during the disaster on the Deepwater Horizon drilling rig on April 20, 2010, failed to seal the well because drill pipe buckled for reasons the offshore drilling industry remains largely unaware of, according to a new two-volume draft investigation report released on June 5, 2014, by the U.S. Chemical Safety Board (CSB)." Negroponte's Advice ~ Mix Market and Mission! "Do mix market with mission. It is, in fact, a period today where you can take an avocation and turn it into something that's very intimately connected with what you do. And if you are, you know, toying with taking a job because it pays well but you hate it, don't do that. Don't ever do that because it is the saddest period. You're gonna wake up every morning and unless you really wake up and not only smile about it but you tell your spouse or your family what happened and how excited you are. That's the life you want to live and more than ever before lots and lots of people can do that. And so that's why I think graduating today would be really interesting. Thirty years ago we were a bit more in lockstep obedience and you did things because you were supposed to and opportunity didn't include making the world a better place." Roominate ~ Building Toys for Creative Girls! "The Roominate line is designed by Alice and Bettina -- two engineers out of Caltech, MIT, and Stanford on a mission to get more girls interested in engineering. They believe that early exposure through toys will inspire the next generation of female technology innovators. 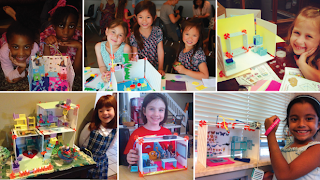 They designed Roominate to get young girls to have fun with STEM, while building hands-on skills and confidence." "Millions of maggots squirm over blackened pieces of fruit and bloody lumps of fetid flesh. A pungent stench of festering decay hovers over giant vats of writhing, feasting larvae. It's more than enough to put most people off their lunch. 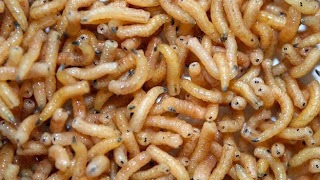 Yet these juvenile flies could soon be just one step in the food chain away from your dinner plate." The BBC Power of Nature series spotlights Why whale poo is good for the oceans... and us! "Oceans envelop three-quarters of our planet’s surface. The survival of three billion people depends on their incredible bounty. Only now are we discovering how the ocean’s largest inhabitants are helping to enhance this. [...] When phytoplankton use up all the nutrients in the water, this vital growth goes into decline. But nature provides an unexpected lifeline, in the form of whale excrement. Whales excrete near the surface, releasing huge amounts of nutrients." 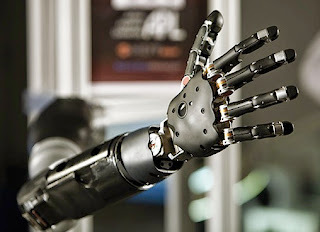 "Armed with exponential technologies like artificial intelligence, 3D printing and cloud computing, today's entrepreneurs are poised to create abundance. This Draw Shop video, originally created for entrepreneurs in Peter Diamandis' Abundance 360 coaching program, illustrates the powerful implications of six key technologies: 3D printing, robotics, artificial intelligence, the "Internet of Things," infinite computing and synthetic biology."